Partitions — Specialties Direct Inc.
we offer the largest selection of designer partition options in the industry. Our offering of material choices and mounting styles provides Architects the freedom to deliver low life-cycle cost products for any building types without sacrificing style. From Stainless Steel, Powder Coated Steel and Solid Plastic, to Solid Phenolic (black core and color-thru) and Plastic Laminate; when freedom & privacy are imperative... we can meet or exceed any specifications, ADA compliant and LEED requirements. 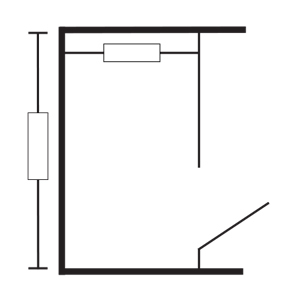 Depending on the material selection, toilet partitions are available in various mounting styles and configurations. SDI offers the greatest variety of materials for toilet partitions. From stainless to plastic, we've got you covered. Use our guides to help you design the best layout for your commercial restrooms.